Koru Naturals uses natural substances from New Zealand as ingredients in a variety of products made available to us in the United States, Canada, and several European and Asian countries. Some of the ingredients used include manuka honey, lanolin, tea tree, manuka oil, rosehip oil, and Rotorua mud. Before this review opportunity, I have to admit I had never heard of emu oil and knew nothing of the benefits. I found out that emu oil is a great moisturizer for skin and hair. I immediately knew this would be perfect for Ballerina's hair. 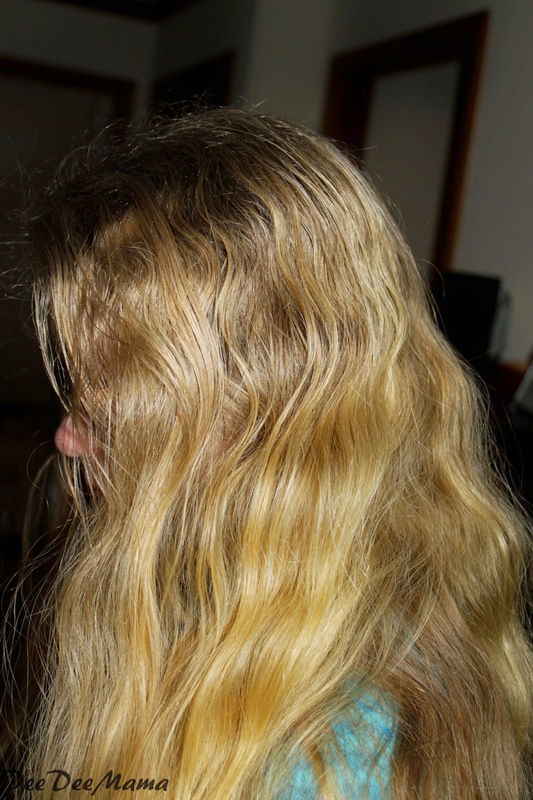 She has extremely thick, often unruly or frizzy hair. I've been looking for something to help tame her mane so I couldn't wait for her to start using it. Ballerina used it as a leave-in conditioner. The directions say to start applying it at the ends and work towards the scalp. When she started applying it at her scalp, it left her hair a little oily and caused her forehead to break out. We discovered that when she followed the directions, her hair was much more manageable. Her hair was much less frizzy and easy to control. Some of the other uses for Emu Oil include as a skin moisturizer directly on the skin and as an all-body treatment by adding a teaspoon to the bath. About a year ago, our dishwasher started leaking whenever it was used. Since - in addition to going natural - I'm also trying to save money, I haven't had the dishwasher repaired yet. Since 6 of us are home all day every day, there are a LOT of dishes to wash by hand. Since my hands seem to be in hot soapy water quite often, they seem to always be chapped. I started using the Koolpurrie balm on my hands, and I have seen a tremendous difference. In fact, just last week, a friend of mine and I were talking about how chapped her hands were with this dry weather. She was really impressed with how the Koolpurrie balm had kept my hands looking nice. The best thing about the balm is that it doesn't take a lot to use to keep my hands from chapping. The container will definitely last quite a while. Overall, I was really happy with both the Emu Oil and the Koolpurrie Restoring Balm from Koru Naturals. Here are some of the other products offered by Koru Naturals: honeys from New Zealand, lanolin from Australia and New Zealand, skin care, lip care, mustache and beard care, soaps, bath salts, and much more. The online catalog is easy to navigate.